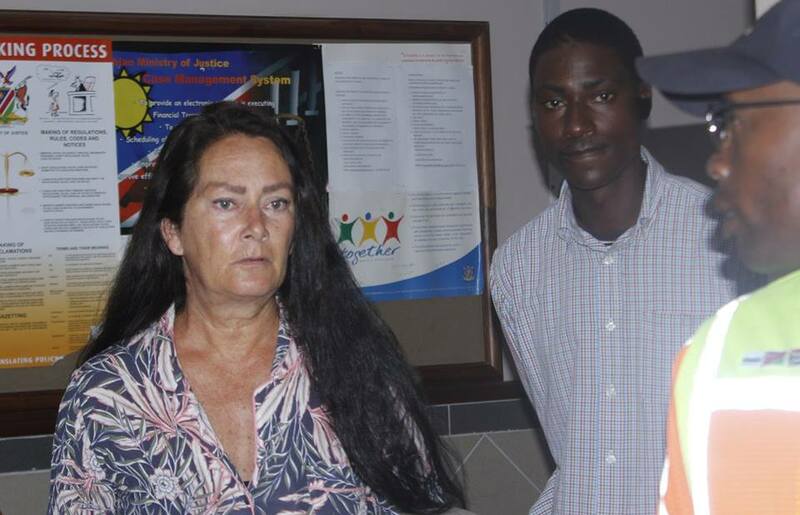 Pictured: Medicine woman, Cheryl Green at the Swakopmund Magistrate’s Court. The 57-year-old Cheryl Green, whose continued incarceration in the police holding cells while she had to take care of her sick husband caused a public outcry, was eventually set free on bail. Green was arrested a little more than a week ago after police during a raid on her house found 71 cannabis plants, 26 grams of cannabis seeds and some cannabis oil. The total weight of the plants after they have been uprooted was a little more than 3, 6 kilograms. The oil was valued at N$2 500 while the combined value of all the illicit material was estimated to be worth about N$21 904. Since her first appearance in The Swakopmund Magistrate’s Court last Monday, Cheryl Green solicited the services of a private legal representative and brought a formal bail application to court on Friday. The state prosecutor Beata Mwahi indicated at the start of the hearing that the state will lift its objections to bail. The state initially opposed bail on the grounds of the seriousness of the matter and that it would be in the interest of society to keep the accused person incarcerated. Green’s legal representative did not object to strict bail conditions and the amount that was set at N$5 000. The conditions attached to Green’s bail are that she hands in all her travel documents to the investigating officer and undertake not apply for such documents in the interim. The accused person is also not allowed to leave the district of Swakopmund without informing the investigating officer. 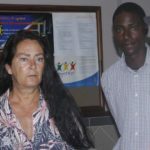 After granting bail to Green Magistrate Conchita Olivier warned the accused person to appear in court on 20 March 2019 for the continuance of the criminal matter in court. The 57-year-old woman faces charges of transgressing Act 41/1971 Section 2A which relates to the possession and dealing in prohibited dependence producing drugs or a plant from which such drugs can be manufactured. The laws prohibiting cannabis and its use was carried over to Namibia from South Africa, but during September 2018 the South African Constitutional Court ruled that it is no longer illegal for adults to cultivate or use marijuana in private. Green claimed during her first appearance in court that she cultivates the plants for the sole purpose of making medicine for her husband to ease the pain he suffers because of Multiple Sclerosis. Besides almost incapacitating the patient due to the damage the disease causes to the human central nervous system, Multiple Sclerosis also causes the sufferer to experience extreme pain and discomfort. Cannabis oil is widely used to ease the pain of people suffering from cancer and is claimed to reverse the effects of debilitating diseases such as Multiple Sclerosis and Parkinson’s disease.